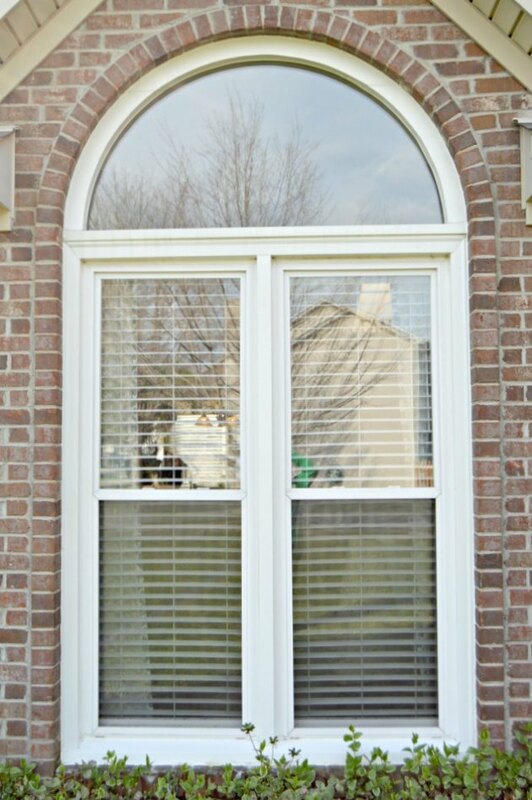 Window screens can get really dirty, and if you don't maintain them, they can rust and tear. 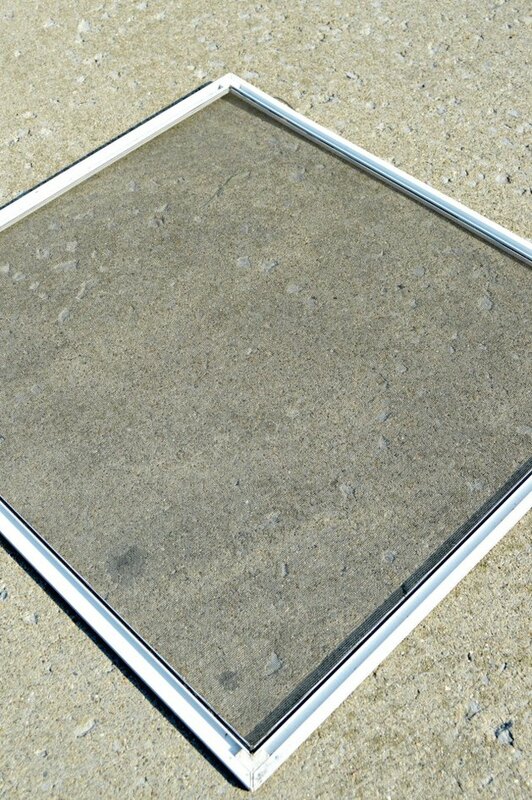 You should clean your window screens twice a year to keep this from happening. 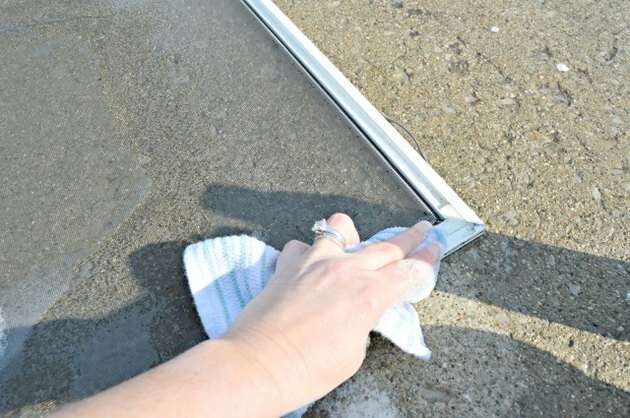 I'm going to show you how to clean window screens easily with a couple of household items. 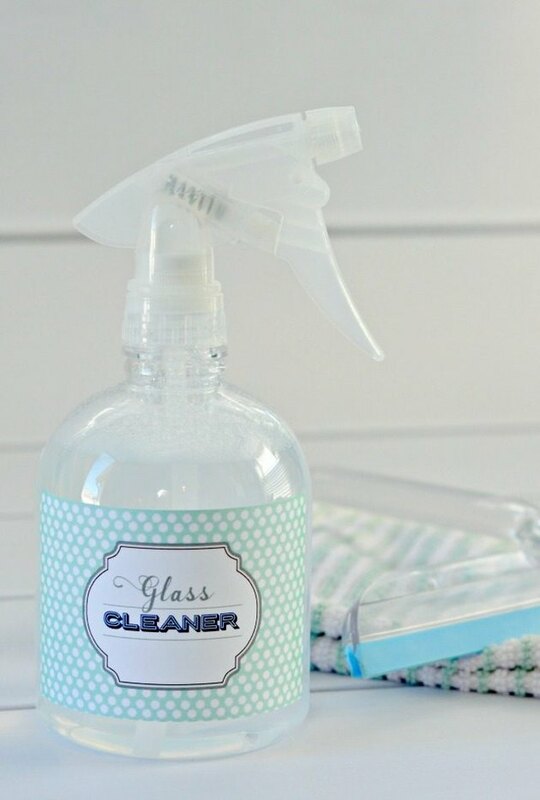 For more cleaning tips and DIYs such as Homemade Streak-Free Window Cleaner, How to Clean Inside a Dishwasher (Using Natural Ingredients), and DIY Reusable Bathroom Cleaning Wipes, see below. 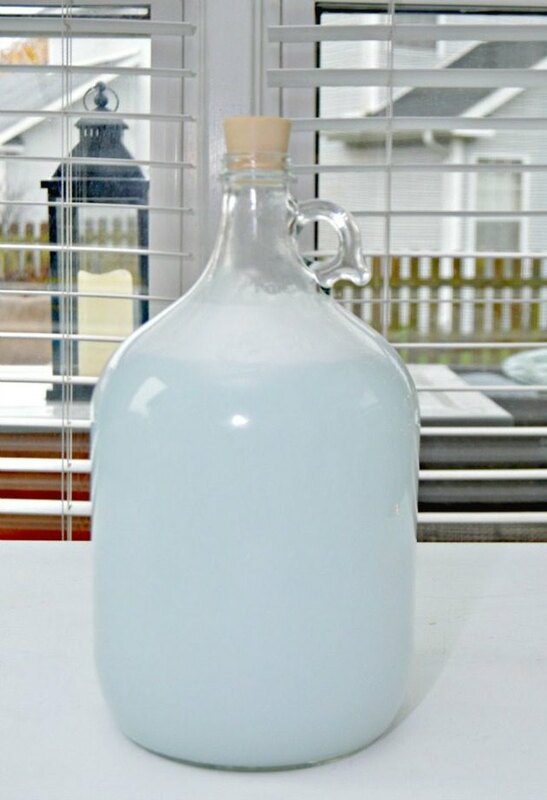 Mix the dish soap with the bowl or bucket of water. 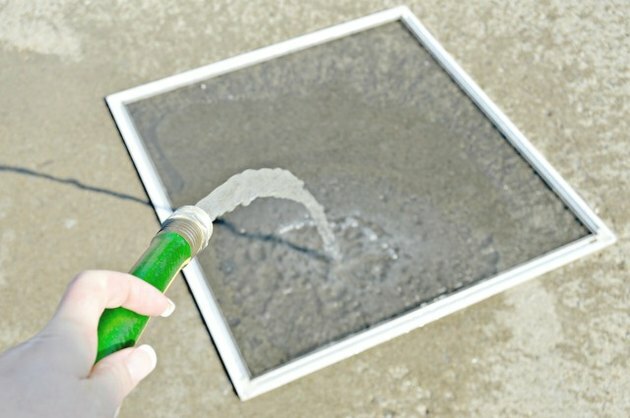 Use the water hose to wet the window screen well. 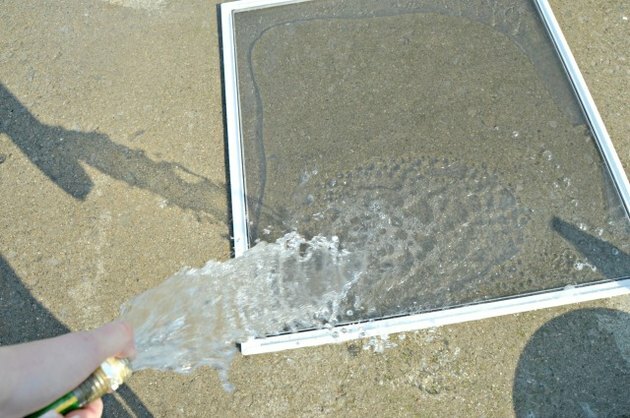 Do not use high pressure when wetting your window screens. High pressure can tear your screens. 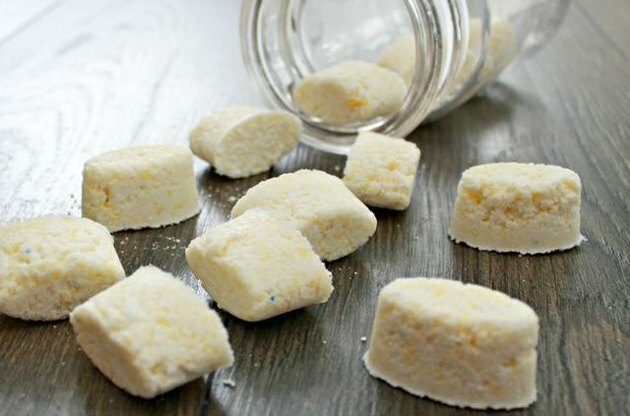 Use a soft scrub brush to lightly scrub away dirt and debris with the soapy water. Do not scrub the screens hard. Use a very soft brush and gently massage the screen to clean. Excessive scrubbing will tear the screens. Use a clean cloth to wipe the screen frame. 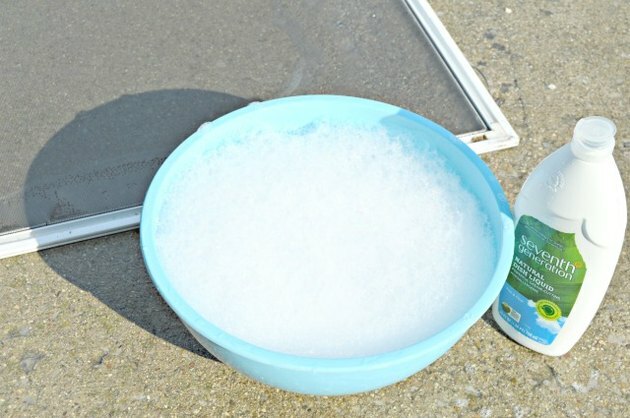 For really tough stains on your screen frame, use a Magic Eraser sponge to clean. 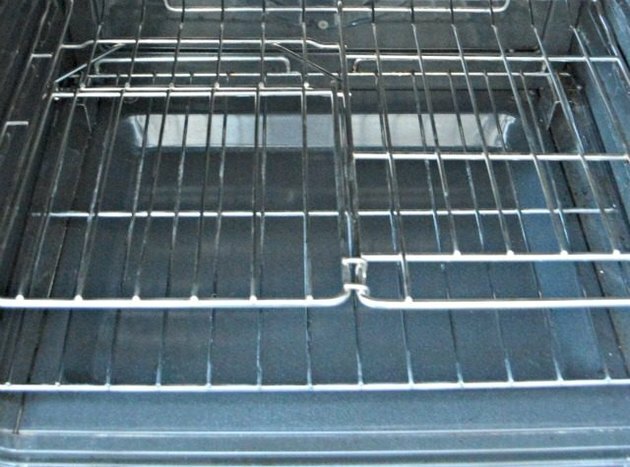 Rinse screens with water and let dry. 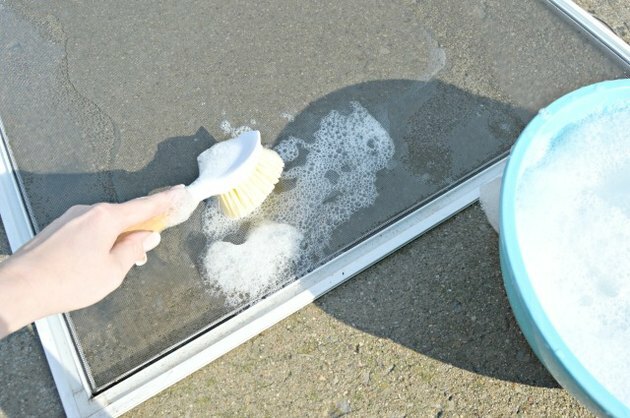 After drying, place the screens back on your windows.